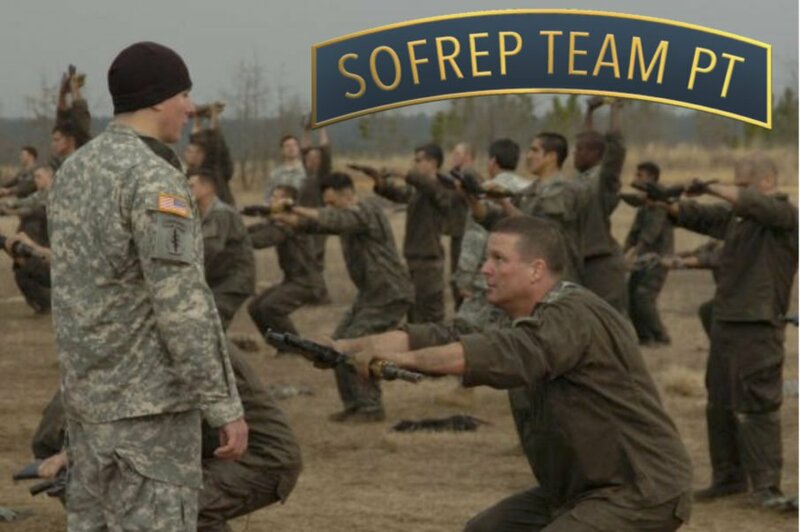 For the current crop of aspiring Special Operations Forces candidates that want to be part of the legacy of the different units under the SOCOM umbrella, being part of the command comes with not only great sacrifice but a great responsibility as well. The special operators have to sacrifice much of themselves in training to get where they want to be and then in the long, endless operations that follow. It is strange to consider but the group of military personnel who flocked to sign up after the deadly events of 9/11, if they’ve stayed in the military, will reach service retirement eligibility in just three years. And during this time, the Special Operations community, that constitutes just 1 percent of the force, has been doing the lion’s share of the combat during these many years of warfare in Afghanistan, Iraq, Syria and hundreds of other places where peace is a goal, not a reality. The warriors of the Special Operations Forces live in the shadows, despite the American public wishing it to be the opposite. Every now and again, the veil is lifted off as we read and learn about men such as Air Force Tech Sgt John Chapman who was posthumously awarded the Medal of Honor for incredible heroism in the face of overwhelming odds during a battle in Afghanistan many years ago. In 2016, President Obama hit the nail on the head while he was reading the Medal of Honor citation of Navy SEAL Ed Byers, he talked about the life of a Special Operations warrior. Byers’ comments after the ceremony touched on the notoriety that the vast majority of special operators eschew, in trying to stay out of the limelight. But for every Byers or Chapman that are bestowed with honors well deserved, there are hundreds if not thousands of special operators that work in the shadows of our 100 countries on a daily basis that perform acts of valor that John Q. Public will never know about. Most will receive no award or decoration for it, because, in their own words, it is just part of their job. The American public can’t get enough stories about the warriors in the SOF community. Fueled by the Hollywood stereotype of superheroes in camouflage, with beards and tats, the public’s consciousness is full of these. But they’re not superheroes, their human, with human issues just like everyone else. They’re not all built like NFL linebackers, drag their knuckles on the ground or perform superhuman feats of strength every morning before breakfast. Americans have a right to know that their SOF troops are deployed in these countries and that part of it is public knowledge. But what is exactly is going on, while boots are on the ground? Not necessarily. Once the veil is lifted on such operations by the Pentagon and the government, then, we’ll know what is happening. There are exceptions to the rule. When an operation takes place of such huge implications like the bin Laden operation in Pakistan, then those operators need to tell their story right then. Now, once a special operator’s career is over, then, by all means, they have every right to share their experiences with the public. In fact, all veterans have the right to share their stories with the people. Too many of our “Greatest Generation” veterans of the World War II era have been reluctant to share their stories, because the entire world was at war then and millions of being in uniform alone in just the United States, most of them feel, they did nothing that millions of other guys were doing. As a result, with all of our veterans from that era, disappearing at the rate of more than a thousand a day, soon, the stories left untold will be lost forever. One of the things we’ve been doing here is trying to reach out to all veterans but especially the WWII ones to document their stories on video before they’re lost forever. Just this week, a good friend from the Korean War era, who I’ve been after to tell his story was lost to us and we went to his wake with more than half the town in attendance on Tuesday night. He thought his story was unimportant in the grand scheme of things. Most of our town thought otherwise. But as a reminder, if you think you’ll be famous by having a career in Special Operations, you’ll probably be disappointed. Most people will never know the vast majority of what you were able to accomplish. But you will and the men you served with will too. That’s all that is important.